<h2>Traffic pollution prevents children’s brains from reaching their full potential</h2><br /><p>Researchers involved in the BREATHE project found that the distance to the nearest road significantly influenced the levels of harmful invisible particles in classrooms and ultimately slowed brain growth in children.</p> <p>The project, funded by the EU's European Research Council,&nbsp;examined 3&nbsp;000 children in 40 different schools across Barcelona and discovered that those that inhaled more air pollution performed worse on computer tests. The harmful effects are due to tiny particles released from vehicles, especially diesel engines. The invisible flecks of carbon are so small that once you breathe them in, they can cross from the lung into the bloodstream and then travel to the brain.&nbsp;</p> <p>‘They stimulate immune cells and produce an inflammatory effect at various levels of the brain,’ explained Professor Jordi Sunyer, lead scientists on the BREATHE project and senior researcher at the Barcelona Institute for Global Health, Spain.&nbsp;</p> <p>Each student was tested four times, leading researchers to find that a high-pollution day before a test could even affect a child’s performance. Children with attention deficit hyperactivity disorder (ADHD) were even more susceptible to pollution particles.</p> <p>The tiny particles of carbon are often surrounded by heavy metals, hydrocarbons and other chemicals known to be bad for health, which are already linked to heart disease, lung cancer and stroke, as well as pre-term births and diabetes.&nbsp;&nbsp;&nbsp;</p> <p> <div class="quote-view quotesBlock quote_horizontal"> <div class="quotesTop"><img src="https://horizon-magazine.eu/sites/all/themes/horizon/images/quotes_top.png" alt="" title="" /></div> <p>‘If you move traffic 50 metres from a school, ultrafine particle amounts drop by more than half. At 200 metres, you get 10 times less.’</p> <blockquote><p>Professor Jordi Sunyer, Barcelona Institute for Global Health, Spain </p></blockquote> <div class="quotesBottom"><img src="https://horizon-magazine.eu/sites/all/themes/horizon/images/quotes_bottom.png" alt="" title="" /></div> </div> </p> <p>Magnetic resonance imaging (MRI) was also used to examine 350 children. This showed that high pollution was linked to slower growth in the front of the brain, in an area believed to be important in decision-making, social behaviour and complex thinking.</p> <p>Prof. Sunyer says cities and schools should take action to protect their children since inaction means they are allowing brain impairment in children.&nbsp;</p> <p>‘If you move traffic 50 metres from a school, ultrafine particle amounts drop by more than half. At 200 metres, you get 10 times less,’ he explained.</p> <p>Prof. Sunyer advocates policies that will reduce the number of diesel cars in Europe along with short-term actions that local authorities can take to create barriers between air pollution and citizens.</p> <p>‘We have produced data that trees and walls reduce air pollution too. Trees reduced it by 60&nbsp;% (inside schools).’</p> <p><strong>Green walls</strong></p> <p>There is growing evidence for using trees and hedges to protect people from particulate matter and nitrogen oxides, the pollutants that come out of the tailpipes of cars.</p> <p>Applying the most effective green walls is the aim behind the EU-funded project iSCAPE, which will tackle air pollution in six cities across Europe.</p> <p>Dr Francesco Pilla, project coordinator of iSCAPE, and lecturer at University College Dublin, Ireland, said: ‘In all the cities we are targeting particulate matter, because of the health issues it can cause.’</p> <p><a href="http://bit.ly/newsalertsignup"><img src="https://horizon-magazine.eu/sites/default/files/news-alert-final.jpg" width="983" height="222" /></a></p> <p>In Guildford in the UK, hedging will be placed along roadsides. In Bologna, Italy, the impact of trees on air quality will be examined. In Vantaa, Finland, green walls and roofs will be assessed.</p> <p>While in Dublin, Ireland, colourful walls will spring up along roadsides. They will have sensors to measure air pollution and encourage citizens to talk about what can be done to reduce exposure.</p> <p>‘We want to engage people and attract their support to change cities,’ Dr Pilla said. ‘We will give away low-cost monitoring kits, too, so that people may see how walking down one road or another might mean they are exposed to lower levels of pollution.’</p> <p>Practical benefits will be demonstrated and the designs in real cities are aimed to encourage other European cities to look at what solutions might suit them.&nbsp;</p> <p><strong>Moss</strong></p> <p>Another quick-fix could involve moss, which has the ability to effectively trap air pollutants better than trees or bushes.</p> <p>The EU-funded MossTree project is developing walls of moss to devour air pollution. The company behind the project, Green City Solutions from Dresden, Germany, estimates their walls will have the same impact as 275 urban trees, but take up 99&nbsp;% less space and require 90&nbsp;% less investment.</p> <p>MossTree will build upon Green City Solutions’ first generation 4-metre high, 3-metre wide green walls called CityTrees, which can already be found around Europe, including in Germany, Belgium, Italy, the UK and Norway.&nbsp;</p> <p><img class="@aligncenter@" title="In 2016 CityTrees were visible in Dresden, Germany, as part of a scientific exhibition showcasing future materials that could help address key issues in society. Image credit – Green City Solutions" src="https://horizon-magazine.eu/sites/default/files/CityTrees%20Dresden_7_crop.jpg" alt="In 2016 CityTrees were visible in Dresden, Germany, as part of a scientific exhibition showcasing future materials that could help address key issues in society. Image credit – Green City Solutions" width="4272" height="2848" /></p> <p><span style="font-size: 13.008px;">Each CityTree unit contains smart sensors collecting environmental as well as climatic data, which regulate and control the unit to ensure moss cultures survive and also acts as an air-quality control station. A solar panel also generates its electricity and rain water is gathered for irrigating the moss.</span></p> <p>The MossTree pilot project will generate an improved version of the CityTree with more advanced sensors to further help control the unit so the moss culture thrives.</p> <p>Malgorzata Olesiewicz of Green City Solutions said: ‘In this way, we hope to have a higher impact on air quality and help citizens live healthier lives.’</p> <p><em>If you liked this article, please consider sharing it on social media.</em><br /> <div class="moreInfoBlock"> <h3>The Issue</h3> <p>Air pollution is the top environmental risk factor for premature death&nbsp;<a href="http://www.eea.europa.eu/publications/air-quality-in-europe-2014" target="_blank">in Europe</a>.</p> <p>Growing more plants and trees within our cities could greatly reduce the levels of air pollution in urban areas, which would then improve the health of citizens.</p> <p><span style="font-size: 13.008px;">To support the development of innovative nature-based solutions,</span>&nbsp;t<span>he European Commission has&nbsp;</span>allocated approximately&nbsp;EUR 130&nbsp;million&nbsp;from its<span>&nbsp;current research fund&nbsp;<span>for 2016-2017</span></span>.</p> </div> </p> <br /> <img src=”http://www.google-analytics.com/collect?v=1&tid=UA-40077089-1&cid=traffic-pollution-prevents-children’s-brains-from-reaching-their-full-potential&t=event&ec=republish&ea=read&el=traffic-pollution-prevents-children’s-brains-from-reaching-their-full-potential&cs=republish&cm=republish&cn=republish&cm1=1" /> This post <a href="https://horizon-magazine.eu/article/traffic-pollution-prevents-children-s-brains-reaching-their-full-potential.html">Traffic pollution prevents children’s brains from reaching their full potential</a> was originally published on <a href="https://horizon-magazine.eu/">Horizon: the EU Research &amp; Innovation magazine | European Commission</a>. Traffic pollution in European cities can stall children’s brain development and stop them from reaching their full potential, according to a Spanish study that measured air pollution in 300 classrooms. Researchers involved in the BREATHE project found that the distance to the nearest road significantly influenced the levels of harmful invisible particles in classrooms and ultimately slowed brain growth in children. The project, funded by the EU's European Research Council, examined 3 000 children in 40 different schools across Barcelona and discovered that those that inhaled more air pollution performed worse on computer tests. The harmful effects are due to tiny particles released from vehicles, especially diesel engines. The invisible flecks of carbon are so small that once you breathe them in, they can cross from the lung into the bloodstream and then travel to the brain. ‘They stimulate immune cells and produce an inflammatory effect at various levels of the brain,’ explained Professor Jordi Sunyer, lead scientists on the BREATHE project and senior researcher at the Barcelona Institute for Global Health, Spain. Each student was tested four times, leading researchers to find that a high-pollution day before a test could even affect a child’s performance. Children with attention deficit hyperactivity disorder (ADHD) were even more susceptible to pollution particles. The tiny particles of carbon are often surrounded by heavy metals, hydrocarbons and other chemicals known to be bad for health, which are already linked to heart disease, lung cancer and stroke, as well as pre-term births and diabetes. Magnetic resonance imaging (MRI) was also used to examine 350 children. This showed that high pollution was linked to slower growth in the front of the brain, in an area believed to be important in decision-making, social behaviour and complex thinking. Prof. Sunyer says cities and schools should take action to protect their children since inaction means they are allowing brain impairment in children. ‘If you move traffic 50 metres from a school, ultrafine particle amounts drop by more than half. At 200 metres, you get 10 times less,’ he explained. Prof. Sunyer advocates policies that will reduce the number of diesel cars in Europe along with short-term actions that local authorities can take to create barriers between air pollution and citizens. 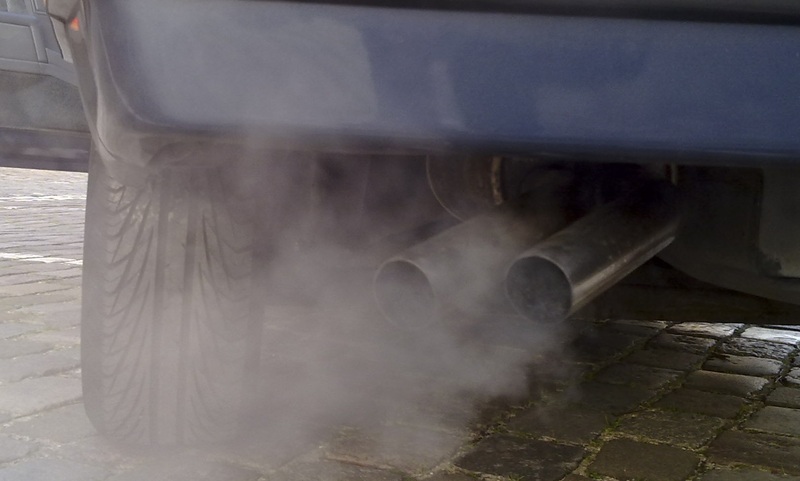 There is growing evidence for using trees and hedges to protect people from particulate matter and nitrogen oxides, the pollutants that come out of the tailpipes of cars. Applying the most effective green walls is the aim behind the EU-funded project iSCAPE, which will tackle air pollution in six cities across Europe. In Guildford in the UK, hedging will be placed along roadsides. In Bologna, Italy, the impact of trees on air quality will be examined. In Vantaa, Finland, green walls and roofs will be assessed. While in Dublin, Ireland, colourful walls will spring up along roadsides. They will have sensors to measure air pollution and encourage citizens to talk about what can be done to reduce exposure. Practical benefits will be demonstrated and the designs in real cities are aimed to encourage other European cities to look at what solutions might suit them. Another quick-fix could involve moss, which has the ability to effectively trap air pollutants better than trees or bushes. The EU-funded MossTree project is developing walls of moss to devour air pollution. The company behind the project, Green City Solutions from Dresden, Germany, estimates their walls will have the same impact as 275 urban trees, but take up 99 % less space and require 90 % less investment. MossTree will build upon Green City Solutions’ first generation 4-metre high, 3-metre wide green walls called CityTrees, which can already be found around Europe, including in Germany, Belgium, Italy, the UK and Norway. Each CityTree unit contains smart sensors collecting environmental as well as climatic data, which regulate and control the unit to ensure moss cultures survive and also acts as an air-quality control station. A solar panel also generates its electricity and rain water is gathered for irrigating the moss. The MossTree pilot project will generate an improved version of the CityTree with more advanced sensors to further help control the unit so the moss culture thrives. Air pollution is the top environmental risk factor for premature death in Europe. Growing more plants and trees within our cities could greatly reduce the levels of air pollution in urban areas, which would then improve the health of citizens. To support the development of innovative nature-based solutions, the European Commission has allocated approximately EUR 130 million from its current research fund for 2016-2017.